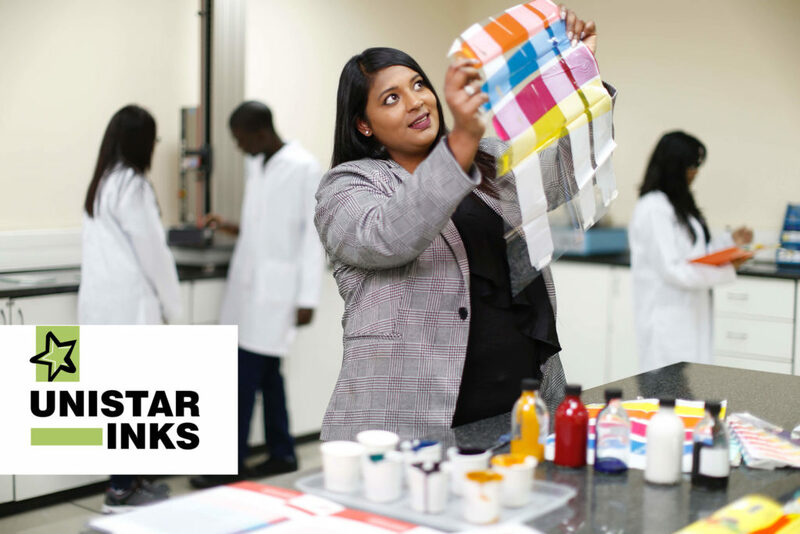 We’ve continued to carry the legacy of Unistar Inks which was founded by my father, a self-taught scientist. His passion for innovation still carries through with the innovative ink technologies we’ve introduced and use in the flexible packaging industry. This has given our company a competitive edge in the printing ink sector. We approached the Industrial Development Corporation for funding to assist us in expanding into new technologies to continue enhancing our products. As a result, we have developed a radiation curing system for water-based inks, UV curable inks, conductive inks and RFID technology for smart packaging and have been able to employ a number of young graduates.